The homosexual activists are newly upset with SaveCalifornia.com and our Campaign for Children and Families. They think it’s terrible that we’ve publicly called on Republican governors in pro-man-woman-marriage states to keep their sworn oath and use their extensive executive powers to defend their state constitution that says marriage is only for one man and one woman. We’ve been enduring their obscene messages left for us, and have been scrubbing their immoral comments from our Facebook page. It’s just additional confirmation we’re doing the right thing. You can see the homosexuals’ outrage against me and SaveCalifornia.com here. Meanwhile, it’s frustrating that no nationwide pro-family organization has yet issued an action alert urging Republican governors to stop homosexual “marriages” in their states. This is despite my Jan. 7 letter to them. But no principled pro-family leader should be afraid of a Republican governor (it should be the other way around)! Thank you for doing your part for the love of God and families. Are pro-family groups afraid of GOP governors? I don’t expect any defense of real marriage from Democrat governors, who are virtually locked into the delusion of homosexual “marriages.” But Republican governors who say they believe in man-woman marriage — well, that’s an entirely different story with different expectations. You see, each governor pledges themselves to “support and defend” the plain words written in their state constitution, including the definition of marriage “for a man and a woman.” Governors raise their right hand and publicly promise to “faithfully execute” (or implement) these written laws! What’s more, governors are commanded by their state constitutions to enforce the written laws. Each governor is also authorized to call out his/her state’s militia or national guard to enforce written laws and maintain public order against foreign and domestic enemies. And each governor has an administration that serves his/her pleasure that is in charge of state marriage forms (licenses and applications) that county clerks use. Given these facts, it is state governors that are allowing homosexual “marriages.” And it’s not good enough for governors to merely protest by appealing to a higher court the unconstitutional decisions of judicial activists. So where does this leave us? 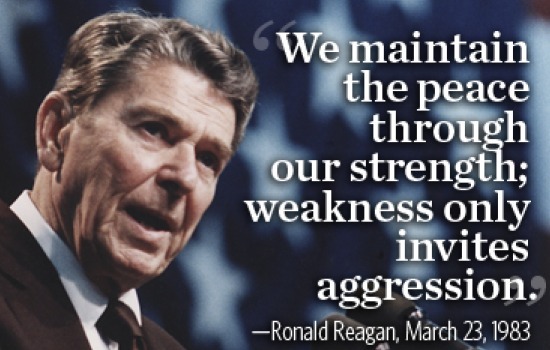 America is in a constitutional crisis against forces of tyranny and immorality. It is high time for the moral majority to rise up. And it’s imperative that pro-family organizations take bold action now to lobby Republican governors. Realize that in the last 12 months, unconstitutional judges have tyrannically opined that homosexual “marriages” must be publicly honored in a number of states: Alaska, Arizona, Colorado, Idaho, Illinois, Indiana, Kansas, Montana, Nevada, New Jersey, New Mexico, North Carolina, Oklahoma, Oregon, Pennsylvania, South Carolina, Utah, Virginia, Washington, West Virginia, Wisconsin and Wyoming. 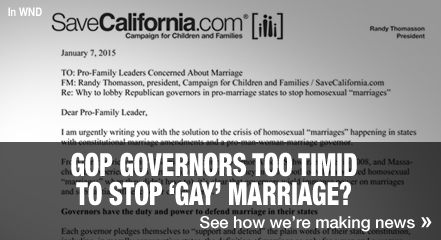 In the midst of this severe crisis, SaveCalifornia.com issued our December 2 alert urging calls to Republican governors in pro-man-woman-marriage states. Pro-family voters place conservative governors into office. Don’t these “pro-family” governors owe their allegiance to God, the written constitution, the voters, and to the pro-family groups that represent pro-family voters? Now is the time for you to speak out so that pro-family organizations will speak out and lobby professing pro-family governors to use their own executive powers, not merely legal appeals, to defend the constitution and the People and preserve real marriage for one man and one woman. Posted in Fighting for what's right, Good Government, Marriage | Comments Off on Are pro-family groups afraid of GOP governors?